No problem Dimlee and I'm sure you will like the Perekop Trench in the new version 2. Version 2 now available. See new link in first post. Thanks for an other interesting map ! after static.ini checker exam. Strangely, I have buildings.House$]SEchurch10 lines in my static.ini file, but still... strange ! Does anyone else have same problem ? Possible to have them with their respective lines in static.ini ? 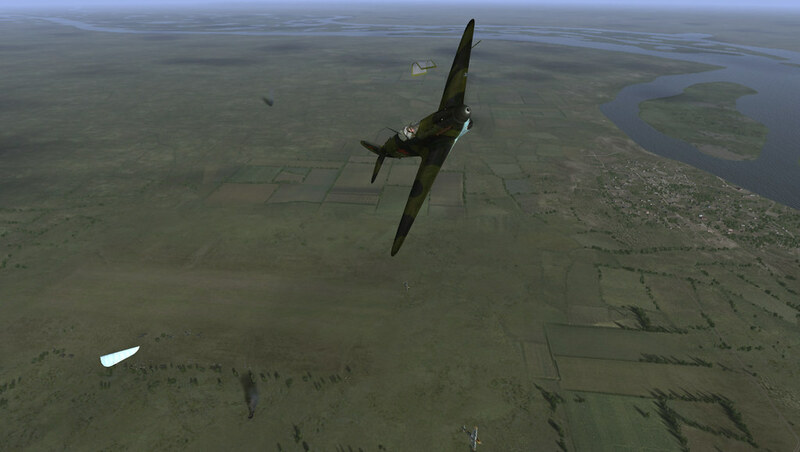 The Il-2 engin obviously reads that squared bracket (above in red) wrong. The best way is to remove/rename that line in static.ini and in actors.static (using Zuti actors management program). Anyway, I do not know how to do the correction in the actors.static... and buildings.House$Hangar_04 is missing too, and I do not see anything wrong in the name of it ! For the buildings.House$Hangar_04, I found it here : https://www.sas1946.com/main/index.php/topic,34490.msg514076.html#msg514076. It is part of Molva Hangars. I think there are two possible solutions. try to use former actors.static file, which obviously worked well. You will lost some objects, but the missions could be saved. ask politely the author of that version of the map to remove the mistake. Hope he can do it ! I thank him in advance ! I did not add too many objects to version 2 so I will go over the new ones and delete or replace the problem objects. Please be patient. I'll try to have it fixed in a day or two. Until then you can use the old actors. https://uptobox.com/b19vigecsg2g which are Molva Hangars 4 & 5 missing... I included the lines for static.ini... I hope that will help ! And of course, the famous buildings.House$]SEchurch10 has maybe to be edited in the actors.static. That's all ! Have I been unpolite, Uzin ? I do not think so... or are you just a bit ironic ? Sorry, it was a piece of my sense of black humor, lol. That bloody ]SEchurch10 was my problem quite recently, repeatedly. There must have been a glitch in the system because when I made version 2, I did not import any new objects. I only copy/pasted from what was on the original map, which did work and save, as some of you mentioned above. I only made two new towns and added four new airfields to version 2, so it wasn't much. I deleted that ] and the map still saves missions - go figure. Gaston, glad you found the Molva Hangars from BoM. Way to go!